Alyth’s rabbinic team includes a breadth of age, interests, skills and personalities, working alongside our dedicated wider professional staff. In this way, we ensure that each of our members can be in real relationship with those who accompany them on their Jewish journey. We encourage our rabbis to be innovators in the work that they do, creating a synagogue recognised as an example of vitality and engaging Judaism for all. Our current team consists of two full time rabbis: Rabbi Josh Levy, who leads our professional team, and Rabbi Hannah Kingston. 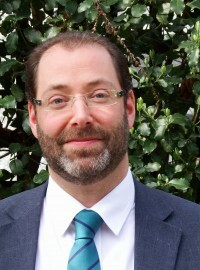 We also enjoy the part-time support of one of Reform Judaism’s most experienced rabbis, Rabbi Colin Eimer. The team takes responsibility for many areas of life at Alyth, and is proud to contribute in the world beyond our synagogue’s doors. Core to the work that they do is their relationships with members across the community. Rabbi Josh Levy has been a rabbi at Alyth since 2008. He is a Lecturer in Rabbinic Literature at Leo Baeck College, teaching courses in Progressive Rabbinic Decision Making and Service Leading. 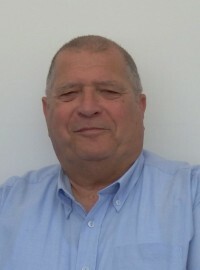 He is also a member of the Board of Governors of Akiva School and Chairman of the Standing Committee of the Reform Bet Din. He recently chaired the Assembly of Rabbis, and also led their working group looking at issues of Inherited Status, which changed the way that the Reform movement welcomes people with Jewish and non-Jewish lineage. Josh is passionate about developing innovative and engaging tefillah, and about sharing the joys of high-level text study. His area of special interest is conversion and status, having written his rabbinic thesis on Tractate Gerim of the Babylonian Talmud which deals with laws of converts and conversion. Josh lives in Finchley with his wife Jude, son Jonah and daughter Noa. Click here to access Rabbi Josh Levy’s writings and resources. Hannah grew up at Southgate Progressive Synagogue and spent many summers at Kutz Camp, a Reform Jewish summer camp in America. It was here, inspired by the rabbis and passionate leaders she met, that Hannah felt that she wanted to share her love for Judaism. Becoming a rabbi seemed the natural way to do this. She was ordained in summer 2017 when she also joined the Alyth team. 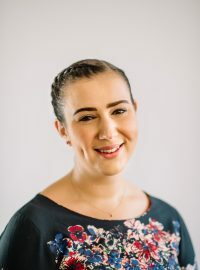 As well as sharing in general rabbinic responsibilities, Hannah has a specific role of building relationships and programming to respond to the needs of the many young families who make Alyth their home. Click here to access Rabbi Hannah Kingston’s writings and resources. Rabbi Colin Eimer has been a part-time member of the Alyth team since 2015. Colin is one of the most respected Reform rabbis in the country. Ordained in 1971, he was rabbi at SDRS (now Sha’arei Tzedek) from 1977 until his ‘retirement’. Click here to access Rabbi Colin Eimer’s writings and resources.